Scrap Paper Scissors etc. : Puppy Love. Just popping in on a Saturday for a change, as it seems the only snippet of time available this week. March break is drawing to an end.....do I hear a collective sigh of relief from all caregivers across the country?! A busy and mostly enjoyable week in our house, but tiring to say the least. Back to the normal routine next week, although I have to admit I'll miss my sleep in each morning! 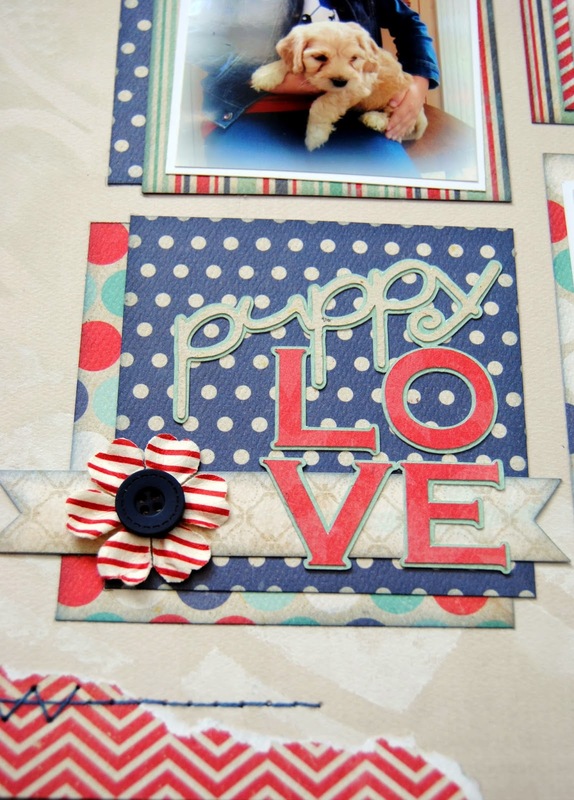 My page today is a sweet one showing my three babies (one of the furry kind!) from last summer. Puppies and kids.........I dare anyone to be able to resist an involuntary aawwwwww! and journalling is printed through Word......Baby Boston font. 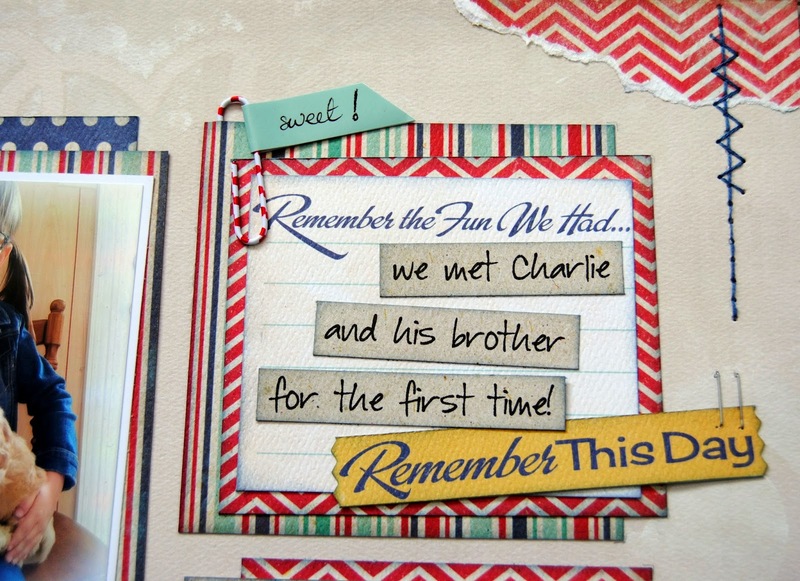 The layout was inspired by an older sketch from Creative Scrappers. That's it for now so I'll be seeing you next week if I actually get something creative finished! I love the grid design on here Jayne!! A lovely page!! 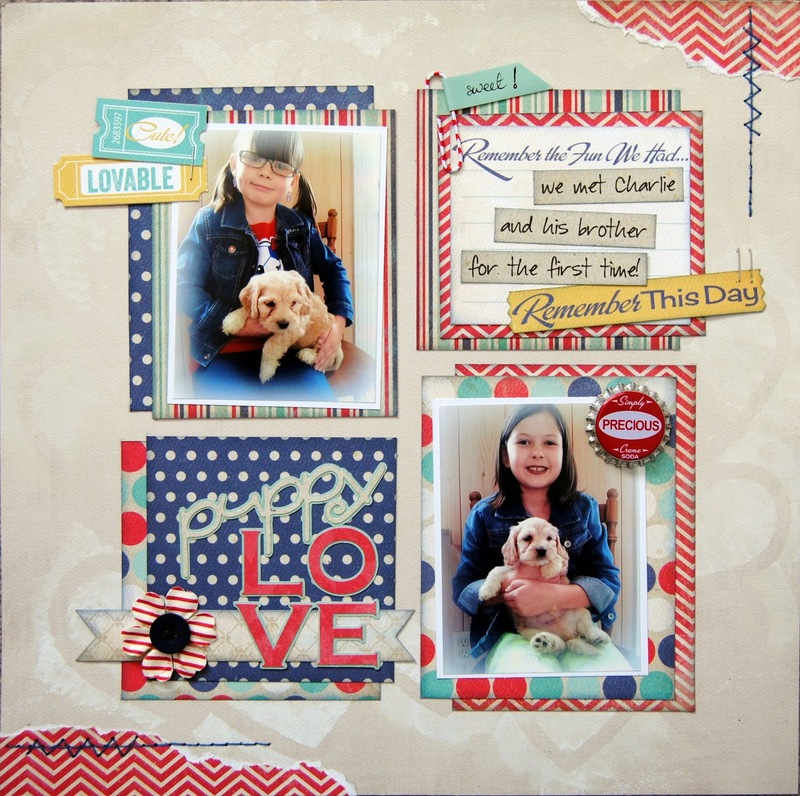 Fabulous layout, Jayne! I love the colours and the design of it. And the background and the stitching too! Oh I love that collection too and your layout is fabulous. Sweet pictures. I love your design, Jayne! The photos are just adorable and I love the layout of your photos and elements! Very neat idea with the grid Jayne! Love it and lovely patterns mixed in too.